Creating a Journal is a great way to display and share your images. In seconds you can take your holiday photos, or images from any event, and present them in a beautiful way on your iPad or iPhone. It’s also possible to upload the Journal to the web to share it with friends and family. Tap on an album, event or photo, then tap the share button. Next, select Journal. The next step is to select which photos you’d like to add to the Journal. Do this by selecting an individual image, all the images in an event/album, or tap Choose Photos and tap on the photos you wish to use. Tap Next, then enter an Album name by tapping the iPhoto Album field. Six visual themes are available: Cotton, Border, Denim, Light, Dark and Mosaic. If using an iPhone, simply tap on one to select it. If using an iPad, swipe through the selection using your finger. Tap the Create Journal button. 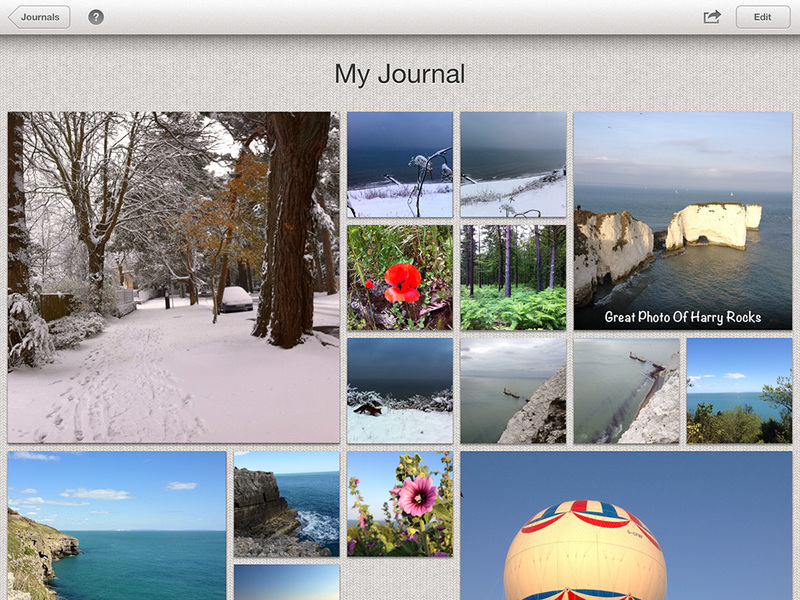 After iPhoto has process the images, tap Show to jump straight into your new Journal. If the visual theme isn’t quite what you wanted, then tap the Edit button while viewing a Journal, then tap the Settings wheel button. You can now swap to another theme and also customize the image sizes. Tap Done to confirm.